Today I bring to you the first post in a series of (hopefully) four total posts. I've been planning this series out for quite a while but haven't been able to execute it, but hey, let's get started! Since I've started fourth year and passed third year (yes, in that order exactly), people have been asking me about how to study in third year. I've been meaning to write these sorts of study related posts, but so far I've only managed to crank out a post about how to study anatomy and how to ace your viva. Time to change all of that now! Anyway, let's get started. We're going to break this post down into a few sections and try to cover everything you need to know. Of course, if I forget something or if there's a query that you have, feel free to comment below. I would have started this series with pharmacology, but I chose pathology instead since it is a subject that is of more interest to most students. I personally found studying pathology to be a lot more fun than pharmacology. However, after an entire year of studying both these subjects and giving exams, I learned that instead of using pathology as my main guide for what to study, I really should have used pharmacology to guide me. Focus on the word 'guide'. I think it's a better strategy to flip through pharmacology first and see what pathological diseases have a treatment plan. Focus on those disease processes when studying pathology (examiners love to integrate as many subjects as possible into one question) and then turn back to study pharmacology. Keep these two subjects tightly together so it's easier to remember disease processes and treatments. Correlate pharmacological pathways with pathology, I can't stress this enough. Before even studying pathology, the first question any rational student would ask is: where do I study from? What do I need? Here's a list of resources that I used and would highly recommend. Robbins & Cotran Pathologic Basis of Disease. I know this is a really big, daunting book with tiny text, but still, hear me out. For every basic science course, having a proper textbook is important. Most students like to avoid textbooks and go straight for review books, but please. Don't do that. Get the big book and go through it at least once. Or twice. Go through it once to orient yourself preferably with a pencil or a highlighter. 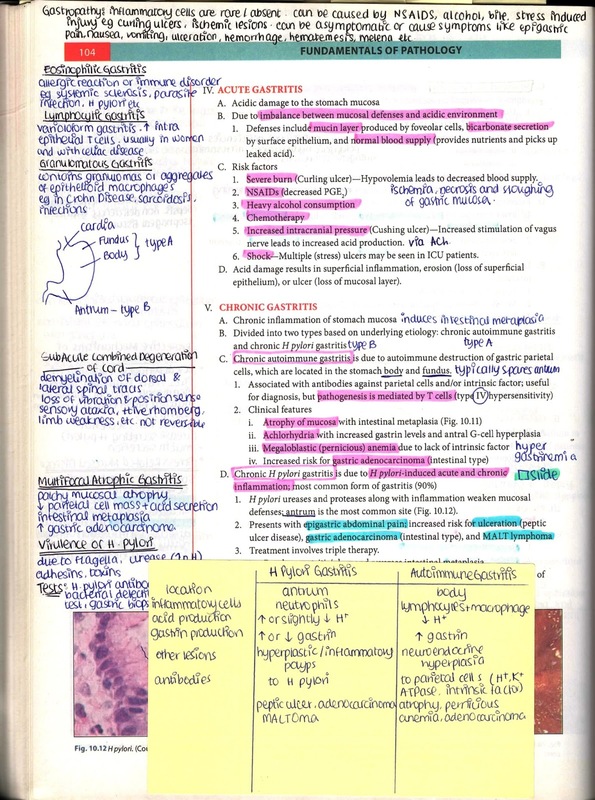 Go through it the second time with your review book and add whatever important points are missing to your review book. Once you're done, close the book and never go through it again. Unless you really want to or need to. Fundamentals of Pathology (Pathoma). The moment I saw this book in the bookstore, I fell in love with it. Pathoma has wide margins on each page and it was a delight to look at for an obsessive note-taker like me who likes to cram things into the smallest space possible. It's an extremely concise review book, however. There are a lot of things that are missing from it and a lot of things that won't make sense if you only want to use Pathoma. Use this in conjunction with your main textbook and use the margins properly. One more thing: because Pathoma is so concise, each and every single sentence is worth highlighting. There is no useless piece of information in this book, no waffling around, nothing. Everything is high yield and important. 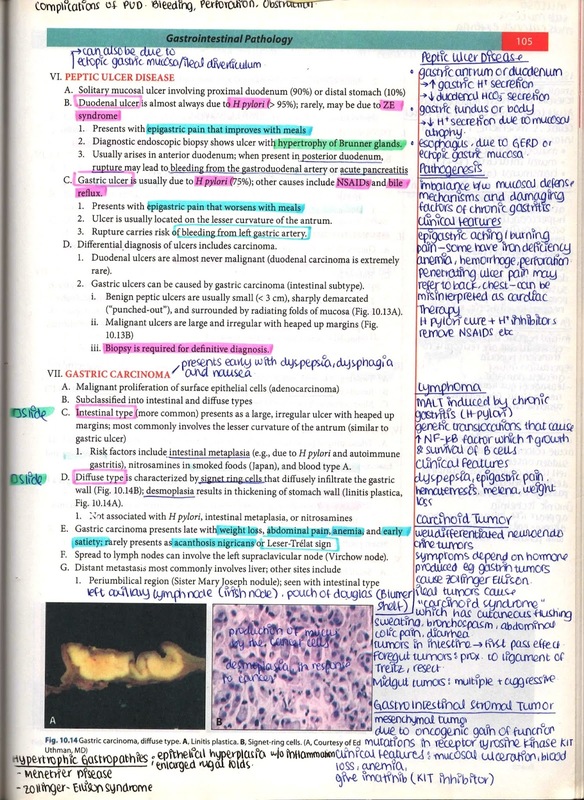 Instead of highlighting like you usually do, I feel it is a much better idea to use multiple highlighters and to classify the text. For example, I use a color coding system. 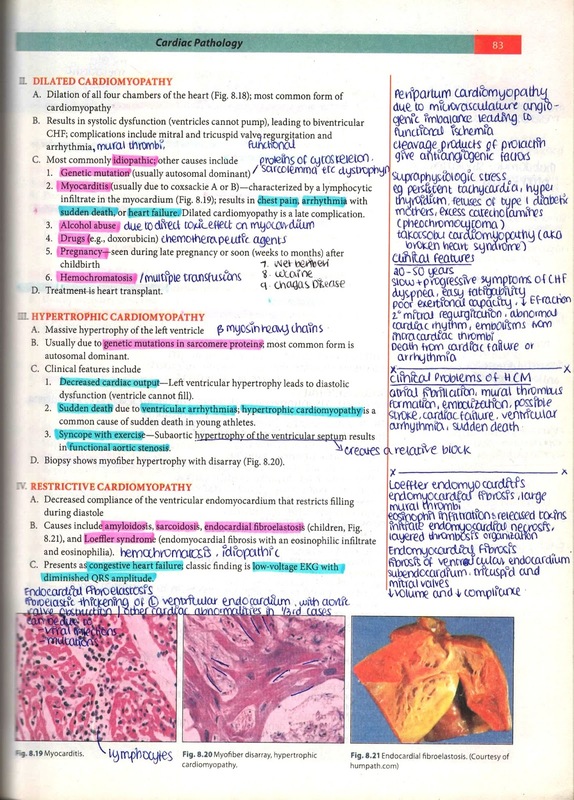 Pink is for pathology points, blue is for signs and symptoms, orange is for etiology and risk factors- and on and on. First Aid for the USMLE. Called a Bible by some, First Aid should be used as a guide. Flip through it every now and then. Just like Pathoma, it is extremely concise and only talks about high yield things that you absolutely need to know. Use First Aid to figure out where to put more of your effort in as well as some pretty cool mnemonics. Pathoma Videos. These should come with the Pathoma book. They are audio and lecture slides of Pathoma. To watch these videos is equivalent to reading Pathoma. The videos are basically Dr Sattar reading out the material, but it's in a very engaging manner and you can easily follow along with your own book. Going through his lectures a couple of times is a good idea. Some people like to turn the speed up to x2 to get through the videos. I personally watch his videos while reading Pathoma (before the class) and while he's reading, I get to do my color-coded highlighting. In class, I use Robbins and then at home, I'll annotate Pathoma with Robbins. Pathoma videos are what orient me to the topic and tell me what to look out for specifically when going through Robbins for the first time. Anki. This is a really sweet program that I've mentioned before in previous posts. Anki is basically the Japanese word for 'memorizing'. It's a flashcard app designed to use repeat and recall to help hammer in information. It's used primarily for learning languages, but it has been adapted for medical education as well. You can find a variety of available Anki decks. Some famous ones are Brosencephalon and Zanki. I personally use Zanki because the flashcards for pathology are made straight out of Pathoma. After reading, highlighting and annotating Pathoma, I like doing Zanki cards every now and then to keep the information fresh in my mind. Especially because my mind is a bit of a klutz and likes throwing random things out of my cerebral cortex. With Anki's constant recall and review system, it's pretty easy to get Pathoma right onto your finger tips. Goljan Audio. This is something I recently discovered. These are apparently hush-hush audios of a lecture series by Dr Goljan. I wouldn't recommend listening to these right away- they are like a spiderweb. One thing leads to another, things are connected here and there and it's absolutely amazing, but for someone who hasn't even studied all the things he's talking about, it's a really daunting onslaught of information. Save this for the end, when you've finished going through all of Pathoma and all of Robbins. 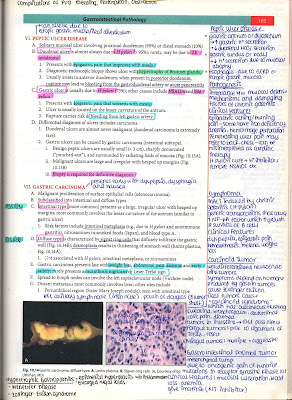 Histopathology Slides. Hopefully your school has these sessions where the microscopic pathology of different diseases are showcased. It's really important to see these slides and understand them. I don't really know of a slide data base (there must be one out there) because I didn't one, I would use my phone to take pictures of the microscope slides. Do that or use an online resource, whatever floats your boat, but remember to understand the slide and correlate it with the disease pathology explained in Robbins and Pathoma. I can't stress how important general pathology is. Studying about processes, like inflammation, coagulation, neoplastic growth, hypersensitivity, immune development- every single thing is extremely important. It's these basic processes and concepts that get repeated over and over. For example, you should know the five signs of inflammation because inflammation happens everywhere! 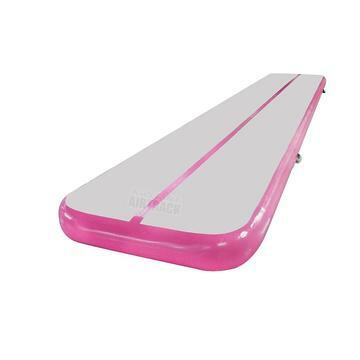 Just take an organ, add -itis and there you go, a pathology. From gastritis to sinusitis to cystitis to uveitis to myelitis to dermatitis to meningitis- and the same five things that happen in each and every -itis. Pain, loss of function, permeability of vasculature, redness and warmth. Now you're all set to tackle any and all words that end with -itis! That's just how easy it is. 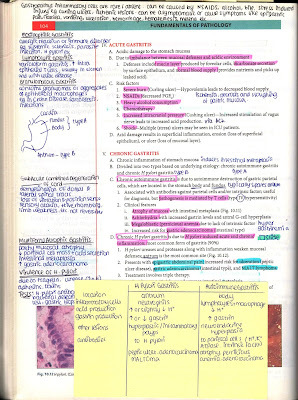 So work hard on general pathology, especially the immune system section and hypersensitivity bit. This is the fun stuff. This is where you study all about diseases and how they happen and what are the risks and how everything unfolds and what the course is. It's the part where you enjoy what you're studying, but things pile up so fast, that it's hard to remember everything. After all, Robbins is a pretty big book and I assure you, Pathoma might look small, but it's very compact and covers at least 80% of everything in Robbins. So be prepared for an onslaught of information either way. This is where Anki comes in. Use Anki to constantly revise and go through the topics. 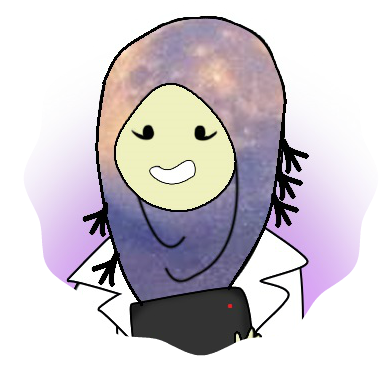 If you do Anki every day, you'll be revising topics so many times that it will be second nature to you and you will probably not have to open Robbins or Pathoma because everything has already been hammered into your head. One topic I really dislike (which shows up in every chapter of Robbins), is neoplasms. I've always found these difficult, with all the genes and cell signalling and guardians of the genome and the different names for different masses, I found all of that very difficult to remember. I really wanted to skip these entirely, but neoplasms will never let you go. So please do these properly. I'm going to assume you've put summarized points of Robbins into your Pathoma margins. I'm also going to assume you've also been doing your Anki cards. The bulk of your revision is done. Alright? Time to destress- no, I'm just kidding. It's time to move over to study pharmacology, but that's for another post entirely. 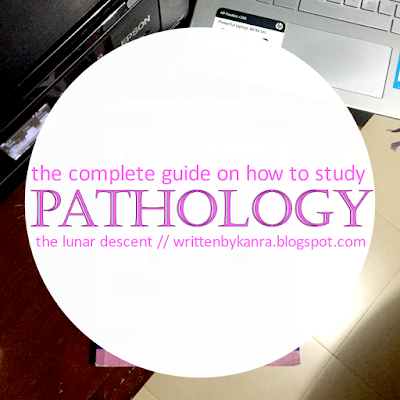 If you really want to study or revise more of pathology, there are always things to do. 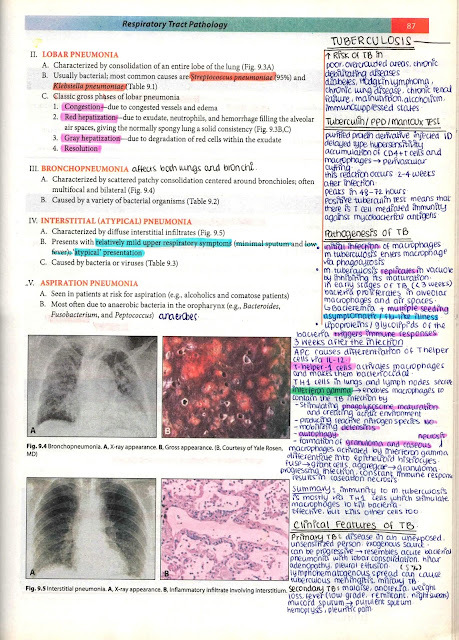 Maybe you could do some USMLE pathology questions to check up on how much you know. Otherwise, the only thing left that you can possible do is rewatch Pathoma videos and go through your margin notes as well. It's quite a time consuming task, so maybe you could watch the videos at x2 speed. But essentially, you're done! I hope this post helped you out! I poured a lot of love and effort into writing this and I hope you pick up from my mistakes and advice. Please remember that what worked for me might not work for you, but if you're doing something and not getting the results you need, you should consider switching gears. Remember to study hard, study smart and don't burn yourself out. Have a nice day! 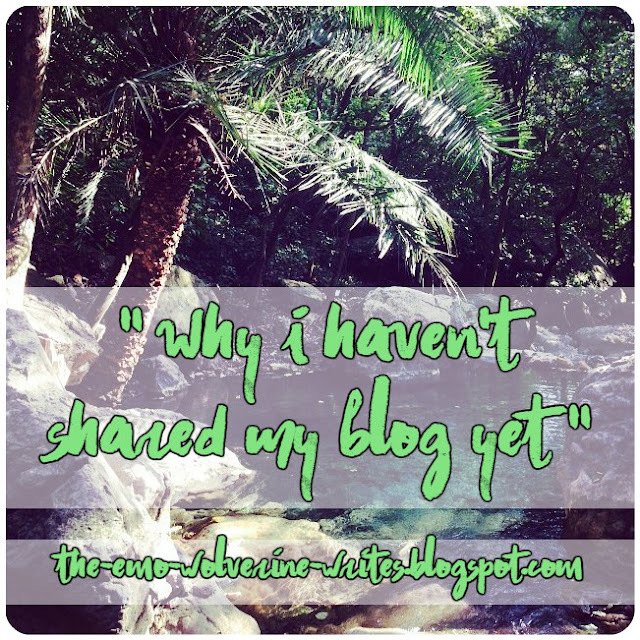 Disclaimer: The links in this post are either to posts of my own blog or to sites where you can learn more. These are not affiliate links and I was not paid to advertise the books and resources mentioned. Aww, thank you so much! Its not much about clever, than it is about attitude and hard work! Yes, as a matter of fact, I have studied about cystic fibrosis! I'm sorry you're suffering from it, I hope everything is alright! This is something that I am so interested in and would have loved to study at some point. Who knows, maybe I will still get there one day! You can! Don't let anyone tell you you can't. I mean, really. If I can do this, anyone can, because I am the most average person out there. You will definitely get there if you put your will to it! Thank you so much Steph! A little support goes a long way! This sounds really interesting - your note keeping is so tidy! Thanks a lot. I've had lots of confusion regarding my third year starting from this December and your post cleared so much. Keep up the amazing work! This is very educational content and written well for a change. mayo international school delhiIt's nice to see that some people still understand how to write a quality post! Nice article. States a very good layout of learning python programming. arwachin bharti bhawan vivek vihar syllabusI am also planning to teach students to empower them.